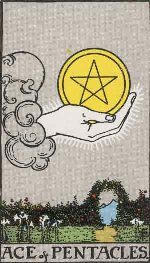 The Ace of Pentacles card in a more general sense, represents prosperity, security and a successful career. This card is a very fortunate one especially in a tarot spread where the main divination is undertaken to ask questions concerning money, property, shares and other securities, and material possessions. 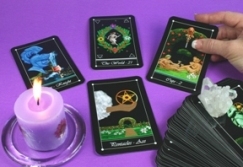 The Ace of Pentcales card indicates that the subject will launch a new project, enter new job or a business enterprise and also be successful in it. Once the project is started, it will have the potential for immense and continuous growth. Each level of growth would herald a new springboard in the entrepreneurial journey. Sometimes, the Ace of Pentcales may appear only to indicate a sudden windfall such as a lottery that may bring about a major change in the life of the subject. The same can happen on the spiritual plane. 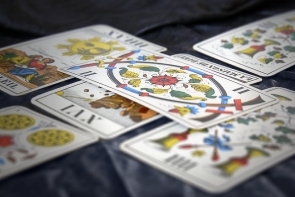 The appearance of the card may herald a spiritual awakening or a development. You may be surprised at the weird ways in which the spiritual possibilities present themselves when their time is ripe.